Spring 2019 drugstore makeup and skincare picks are starting to pop up on the Internet (just not in stores yet) and Target is always one of the first places you can snag some good deals on the latest launches. Here’s the scoop on what’s new in beauty at Target at the moment. Alcohol-free cleansing wipes that gently remove makeup and exfoliate skin with a non-acid formula plus glycerin to keep skin hydrated! A new creamy concealer to conceal puffiness, dark circles, and finer lines with a formula that contains anti-pollution, antioxidant, anti-blue light ingredients. Did you ever think your beloved Bonne Belle Lip Smackers would have a facial mask? Well, they do! Kind of! These fruit-shaped slices can be placed on area on your face that needs a little hydration! The formula was created to restore the glow to skin while moisturizing it! Each pack contains three different per-saturated pads. Sweep away makeup, dirt, and dead skin cells with Soap & Glory’s new micellar water that has a non-drying formula that contains vitamin A and C.
Get fuller more volumized lashes with Covergirl’s newest formula that defines lashes while giving them a fuller look. L’Oreal’s new lightweight matte lip ink has the texture of a liquid lipstick but the long-wear of a lip stain that provides flexible color that moves with your lips for a non-drying finish! Unclog pores while polishing away dull skin cells with this new exfoliating facial scrub from Soap & Glory. Get your fix of Garnier’s cult-favorite micellar water in a new 23 oz size! A new generation of mascara formula that lengthens and adds volume to lashes with an easy to remove formula that can be taken off with warm water in seconds! A new brow gel that fills and thickens brows with a formula that wears for 48 hours without smudging or transferring. A potential Milk dupe? This holographic highlighter stick adds a touch of dewy luminosity to skin! 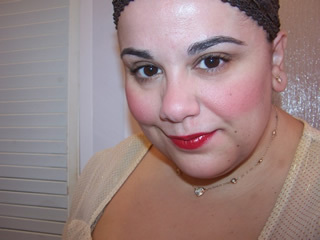 I saw the new L’oreal Rouge lip stains on Target.com and really want to try them…. because I love YSL Tatouage Matte Stain….. so it has me thinking….. isn’t YSL part of L’oreal Group…. could this be the drugstore dupe or similar formula? Count me intrigued….. I’d have ordered already if I could see swatches of the colors. I hate buying blind. But now i’m really intrigued…. I saw the Covergirl mascara and a new Vinyl lip gloss for that brand, the loreal lip colors and a mascara for $14.99, bUT not the brow gel at CVS. I also saw the Mayvelline mascaras but was waiting on your reviews because the drug store prices and creeping up on the prestige priced items at Ulta so I’m hesitant to spend $14 on a mascara if I can catch a Tate or Clinique one on sale for $10. I just got the maybelline mascara in purple but did not use it yet. I have to check out the other stuff. I’ve tried the L’Oreal Unbelieva-Brow and I was surprised but I actually kind of liked it. I guess it’s kind of like Wunder Brow if you’ve ever used that; there’s a little bit of a learning curve to using it but now I’ve figured out how I like to use it and I find myself reaching for it pretty often. Oooohh… new shiny makeup at the drugstore!! I just love Maybelline mascaras. It’s the only brand I’ve tried that doesn’t make my eyes itch. I always get excited when they release a new one because I have to have them all. That L’oreal Lip Stain has my name all over it!